The removal of Harsha Bhogle as a commentator for the 9th edition of the IPL is unimportant in itself, but useful as a window into the workings of the BCCI and the curious relationship between public sport and patriotism. The best of Bhogle is behind him. 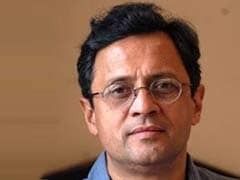 He started as a lucid, fluent commentator, a miraculous improvement on the radio blowhards who disfigured India's airwaves through the late 70s and 80s. Somewhere along the way he decided to specialise in smiling good nature. He is now an upbeat cricketing chorus, a sutradhar who doesn't know when to stop. He, along with Ravi Shastri, Gavaskar and Laxman Sivaramakrishnan, formed Srinivasan's stakhanovite elite, tireless, heroic producers of the pabulum that passed for BCCI-approved commentary. The arbitrariness and opaqueness of his dismissal isn't a surprise. All totalitarian regimes are organised around the whims of the Great Panjandrum. Successful clients learn to second-guess the mood swings of their masters but masters change, mis-steps occur and there are casualties. The men who commentate for the BCCI today made their Faustian compacts with their eyes open; they learnt to suppress inconvenient opinions, to tweak their cricketing souls for commentary contracts. They didn't see it like that, naturally. They saw themselves as pros contracted to do a job of work - and if that job came with rules, well, all jobs did and they were professionals. The trouble with this line of argument is that the only currency that commentators deal in is credibility. If Nasser Hussain and Michael Atherton stopped asking hard questions of English captains in post-match conversations because the ECB told them to, they would lose theirs. A good commentator offers insight born out of experience and conviction. Great ones, like John Arlott or Richie Benaud, combine insight with presence. A commentator who agrees to censor himself becomes a corporate proxy, his master's voice, and dispensability is built into that job description. No, this dismissal is worrying because of its rumoured reasons. In the absence of any official word on the matter, Bhogle's abrupt disappearance from the IPL roster (after his commentary schedule had been worked out and his flights booked) was speculatively attributed to one of three possible causes. One was an alleged altercation with a functionary of the Vidarbha Cricket Association about easier access to a commentary box. Rumour has it that since since Shashank Manohar used to be the head of the VCA before he became the BCCI's president, this was seen as lese majesté; and suitably punished. If this is true, it's depressing but unsurprising. A board that once made an example of Kapil Dev by exiling him from any association with competitive cricket is unlikely to think twice about squashing a commentator who forgets, even for a moment, that eternal deference is the price of entry. The second and third rumours about Bhogle's departure overlap. Broadly, they insinuate that Indian commentators weren't as patriotically partisan as they should have been during the recently concluded World T20 Championship. This hare was set running by Amitabh Bachchan, who, after the India-Bangladesh quarter-final, complained that Indian commentators spent too much time talking about players who weren't Indian. Or, as Bachchan himself put it, in pitch-perfect High Babu: "With all due respects, it would be really worthy of an Indian commentator to speak more about our players than others all the time." He followed this up with bloke-ish, man-of-the-people tweets like "fed up ho gaye yaar" and "jab dekho unki tareef karte rehte hain". Pressed about who he meant, he made it clear that he didn't mean Gavaskar or Manjrekar. 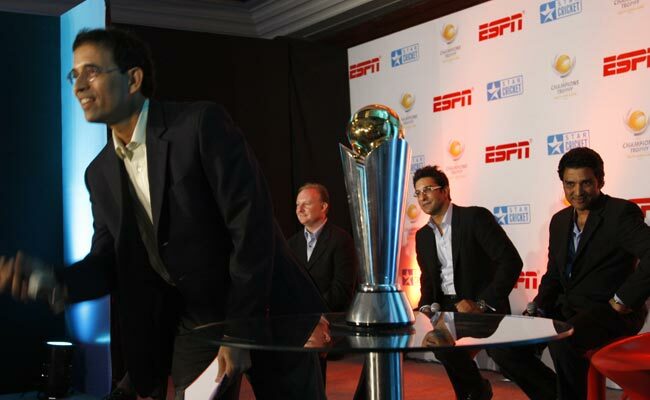 Via this coy process of elimination, Bachchan's finger seemed to point at Bhogle. When Dhoni retweeted Bachchan's first tweet, and glossed it by saying "Nothing to add", this was construed to mean that Dhoni (and perhaps other senior players) shared Bachchan's grouse and that Bhogle's exit was a direct consequence of very important people and very important players being unhappy with his style of commentary. This might be fanciful, but Dhoni's retweet makes one thing clear: the Indian captain agrees with Bachchan. So consider this; the captain of the most cosseted cricket team in the world is willing to shoot off Bachchan's shoulder at the tamest commentary team in the history of broadcasting for the sin of not being partisan enough. Bachchan's own patriotic credentials have been recently burnished. In the group match against Pakistan, he sang the national anthem before the match began, and when it ended in an Indian victory, he was shown zealously waving the national flag. Perhaps this public, high-octane patriotism persuaded him of the need for "committed" commentary. What manner of commentary would satisfy Bachchan and Dhoni and the powers that be at the BCCI? What order of obedience, what depths of craven compliance would appease an organization that manages to turn pliant men into free-speech martyrs? I have a suggestion. The IPL commentary team should be led by Mr Bachchan and his famous baritone. For the drearier passages of the game-a long partnership by the enemy, for example - Anupam Kher could take over to ratchet up patriotic support for our soldiers in the middle. Better still, Indian fast bowlers could run in to the rhythmic chant of Bharat Mata Ki Jai, all catches could be appealed with "Vande Mataram!" and umpires heedless of Mother India's needs could be punished by being publicly immobilised in stocks erected for that purpose in the stadium after the match. In the meanwhile, the BCCI could send Bhogle and other offenders to re-education camps to learn the error of their ways and begin their long journey towards rehabilitation.